Fleet management software specialist FleetCheck has appointed a compliance manager as part of its ongoing work to meet the forthcoming General Data Protection Regulations (GDPR). Coming into effect from May, GDPR replaces the Data Protection Act and marks the biggest shake-up in data protection for 20 years. As such, it will have serious implications for anyone handling data generated from vehicles, in particular fleets using telematics data. It also comes with significant penalties, with much wider scope than the Data Protection Act – for data processors as well as data controllers. Ultimately, companies can be fined up to 4% of their worldwide turnover. 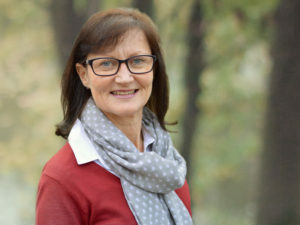 Reinforcing FleetCheck’s ongoing work on ensuring GDPR requirements are met, Sue O’Connell joins FleetCheck in the new compliance manager role and brings extensive experience in software testing and compliance, most notably as senior product consultant at corporate documentation company PleaseTech, where she was in charge of unit, user acceptance, stress and performance testing. She said: “The processes in place at FleetCheck are already very robust, so we expect meeting the needs of GDPR will be a relatively straightforward task. O’Connell will also be helping FleetCheck work towards the ISO27001 information security standard, which specifies and audits processes that are intended to bring information security under clear and unambiguous management control.